The BBC have today confirmed that 9 previously lost Doctor Who episodes have been returned to the BBC and are now available to download from Itunes. 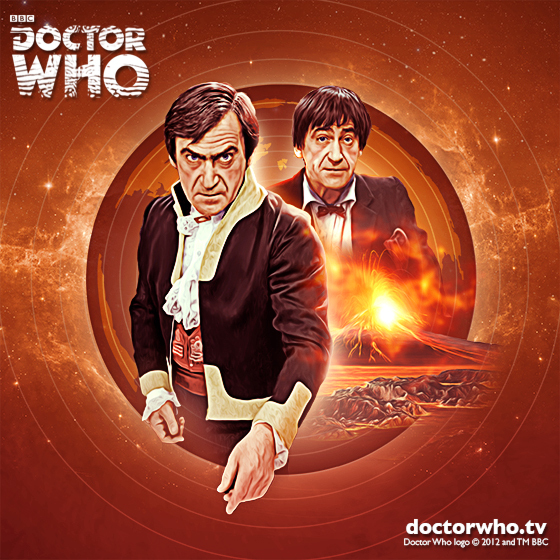 The Enemy of the World sees Troughton take on the dual-role of both the Doctor and his antagonist, Salamander, in a thrilling tale of spies, natural disasters and one man’s desire to control the whole world. The Enemy of the World will be released exclusively on iTunes on October 11. A DVD is also available for pre-order now from BBC Shop, and will be in stores from November 22. Also recovered is the 1968 story, The Web of Fear. Unfortunately, Episode Three is still missing but reconstruction has been made this using still image ‘telesnaps’ of the episode and the original audio soundtrack, which has been restored. The story introduces Nicholas Courtney as Colonel Lethbridge-Stewart (who later returns as the Brigadier) and sees the Doctor do battle with the Great Intelligence for a second time.The Web of Fear will be released exclusively on iTunes on 11 October, and will be released on DVD in early 2014. With thanks to BBC Worldwide for releasing such incredible new. A big hand should also be given to Phil Morris the man who found the episodes. ← Enemy of The World and The Web of Fear Return to the BBC ?